If medical negligence at birth destroys a baby’s ability to ever enter the work force, should a baby girl be compensated less than a baby boy? I told the sad story of a brain injury case in my column last week and won’t repeat the details here. You can find that column that column by following this link if you wish to. 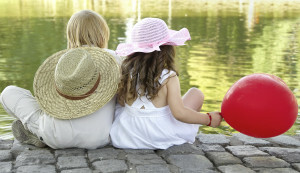 The difficult legal question about whether boys and girls should receive different compensation came up in a June 29, 2011, decision of the top court of British Columbia, our Court of Appeal. The medical insurer had appealed the trial decision on several grounds, all of which failed with the exception of partial success on this point. Based on census data in 2005, lifetime earnings for women were approximately 40% lower than for men. Part of that spread is the discrimination in the work place that our society is slowly working to eliminate. The law is clear that there should not be any deduction in compensation to account for historical gender discrimination. The medical insurer did not argue against that. Another part of the spread of lifetime earnings between men and women has been, in the language of the medical insurer, the choices women make in the labour market, including the potential for having and raising children. The medical insurer’s argument was that the trial judge had failed to reduce compensation to account for that factor. The Court of Appeal agreed. I cannot fault the reasoning of the three-judge panel of the British Columbia Court of Appeal. They applied a very thoughtful legal analysis. I really, really dislike the result, though. I see the result as a form of discrimination similar to workplace discrimination. The “choices” women have historically made with regard to giving up careers and raising children have been made in the context of historical workplace discrimination. It has historically made sense for mothers to be the ones, instead of fathers, to sacrifice their careers to raise children because the cost to the family to pull mothers out of the work force has been lower. It has historically made more sense for mothers to take more extended time away from the work force instead of hiring child care because of the comparison between the earning potential of women and the cost of child care. The gradual elimination of workplace discrimination has been resulting in a gradual change in family choices. The gender disparity in how choices are made is changing. If workplace discrimination ought not to be taken into account to devalue a woman’s earning capacity, should the “choices” women make as a result of workplace discrimination be used for that purpose? Any poor soul who had read my column since its inception in the Westside section 4 ½ years ago knows that I am a fierce defender of our judiciary. Several times, I have come to the defense of unpopular judgments, noting that judges apply the law and if we don’t like the law we should go to our political leaders to change it. Our political leaders could decide that racial, sexual and other discrimination should have no place in the assessment of compensation in our courts. How do political decisions get made? Public opinion. I encourage you to express your opinion to your local political representative.